Vanessa Hudgens returns to our TV screens in yet another teenage rom-com, but isn’t that why we love her? The High School Musical frontwoman has been particularly quiet over the years only featuring in a few, not well-known films, but the one thing they all have in common is LOVE. The Princess Switch is the perfect Christmas miracle movie available on Netflix. If you’re a fan of the Parent Trap and the Princess Diaries, this heartwarming movie is definitely for you. Hudgens plays both lead female roles, Stacy DeNovo a baker from Chicago and Lady Margaret Delacourt, Duchess of Montenaro. The two characters meet when Stacy attends a baking contest in Belgravia with sou-chef Kevin and his daughter Olivia. They come in to contact by accidentally falling into one another and well… you can kind of work the next part out *queue posh English voice* ‘Oh my goodness the resemblance is uncanny’. Lady Delacourt is due to marry Prince Edward – played by Sam Palladio – but want’s to envision life as a ‘normal’ girl beforehand. 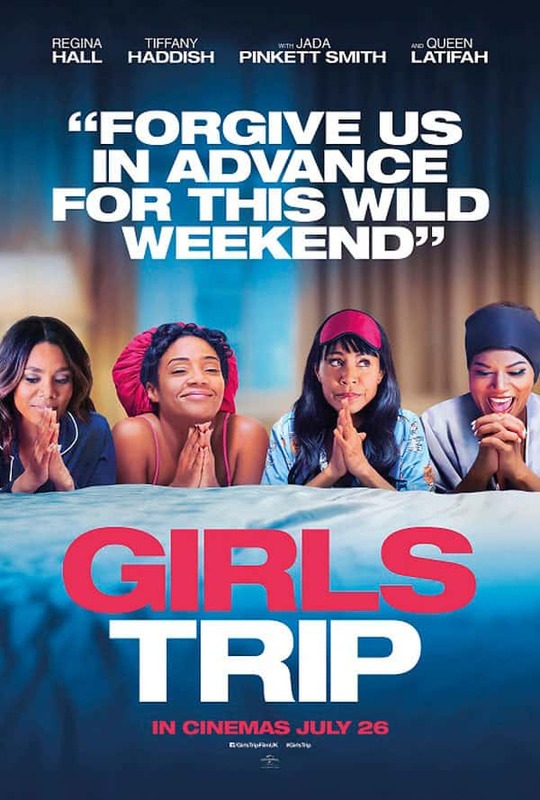 The switch of the two characters kind of savors for how bad Hudgens’ posh English voice actually is, but you can get by this with the humour involved. Frank – the Prince’s PA – starts to keep a close eye on Lady Delacourt when she slips up on family information in front of the King and Queen. She also takes the Prince to the children’s home and decides to wrap presents, bake and buy a Christmas tree for them, which is seen as quite unprofessional for a royal. Although, this really is where the Prince starts to fall in love with the person who he believes will be his future wife. We know something he doesn’t. Lady Delacourt is not as much of a pro at this switch as Stacy, as Kevin’s daughter Olivia figures out what’s happening as soon as the so-called professional baker burns her toast. This new friendship adds more love into the film when they and Kevin get their picture taken with Santa and Olivia asks for a new mum. Without too many spoilers, it’s clear that both characters end up falling in love with their alternative lives, leaving the switching experiment on difficult, upsetting terms. Both return to their normal lives for a short period of time before realising love is their destiny. This becomes more obvious after the two receive necklaces from their new lovers. Competition day arrives for the real Stacy DeNovo and her mind is already all over the place before baking an impressive cake. Might we add Kevin is also super confused at this point due to kissing who he thought was Stacy and let’s just say the atmosphere is slightly awkward? To make it even worse Brianna, another baker in the competition tries to ruin their chances at winning by cutting the wire to their mixer. We won’t say who wins the baking contest but the Prince and Dutchess arrive to hand the winners their prize. Que another awkward situation with lots of questions and puzzled faces. We don’t want to give the end of the film away so we’ll leave it up to your own imagination on what you think happens next. But we will say one thing, Christmas films never have a sad ending. 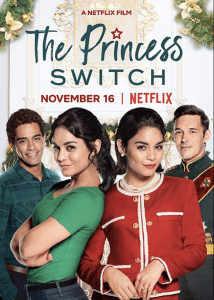 Overall the Princess Switch is the perfect girly Christmas rom-com, it’s everything we’d expect from Vanessa Hudgens and Sam Palladio is definitely our new crush. It’s probably more aimed towards the teen audience but, well, for a 22-year-old who grew up on 13 going on 30 and of course High School Musical, I loved it and even possibly cried.